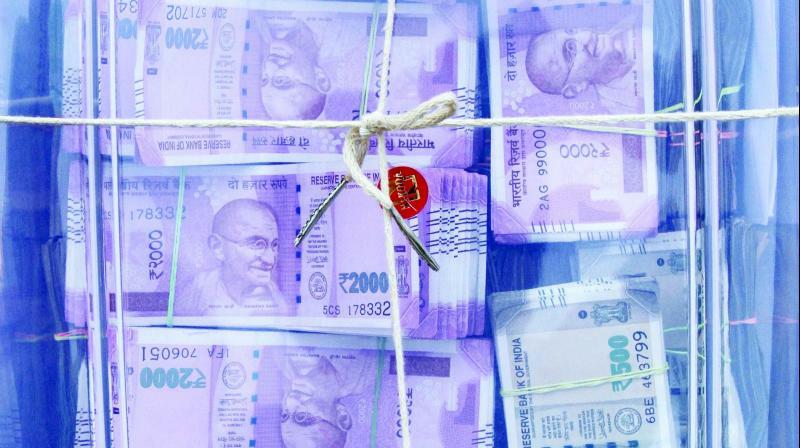 Morena: The Lokayukta Police raided the premises of a stenographer working with the Madhya Pradesh revenue department and recovered Rs 9 lakh in cash besides jewellery and papers of several immovable properties belonging to him, an official has said. The stenographer, Surendra Singh Yadav, is attached to the Chambal division commissioner's office. "Our teams raided the (residential) premises of Surendra Singh Yadav in Morena and Gwalior districts and recovered 9 lakh in cash," Lokayukta Deputy Superintendent of Police (DSP) Praduman Parashar said on the evening of May 10. Besides, the teams recovered jewellery, passbooks of his bank accounts and papers related to several immovable properties owned by him, he added. The anti-corruption watchdog's action against the stenographer came following complaints that he has amassed wealth which is disproportionate to his known sources of income, Parashar said. He has been booked under the Prevention of Corruption Act and further investigations are on, the DSP added.